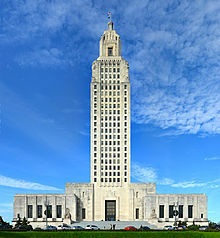 BATON ROUGE – A bill that would create a constitutional amendment that would change the way judicial vacancies are handled is currently under consideration by the Louisiana House after passing the Senate last week. SB 216, sponsored by Sen. Ed Murray, D-New Orleans, would allow the Louisiana Supreme Court to decide whether vacated judicial seats should be filled or eliminated. Under current law the governor is tasked with calling a special election within 14 months of a judge stepping down. If SB 216 were to pass, the process would allow the Louisiana Supreme Court to assess open judgeships that have gone 60 days with a vacancy and decide if the vacancy should be filled, the seat should be allocated to another court or if the judicial office is not needed and should be abolished. The amendment would also give the high court the ability to appoint a temporary judge to the seat until an election for a replacement can be held. Currently the only way to eliminate judgeships is through passage of legislation, by a two-thirds vote, dealing directly with the proposed elimination. The bill passed the state Senate 38-0 and made it through the House Committee on Civil Law and Procedure without opposition. The proposed constitutional amendment will next have to garner a two-thirds vote in the House and receive the governor’s signature. Voters will make their decision on the issue in the Nov. 4 election.